Proof of Delivery | K.F.I. It is estimated that the last mile delivery accounts for around 30% of the transport total expenditure. The increase in the number of deliveries and the customers’ growing expectations multiply pressure on the companies which must continue to guarantee an excellent and competitive service. 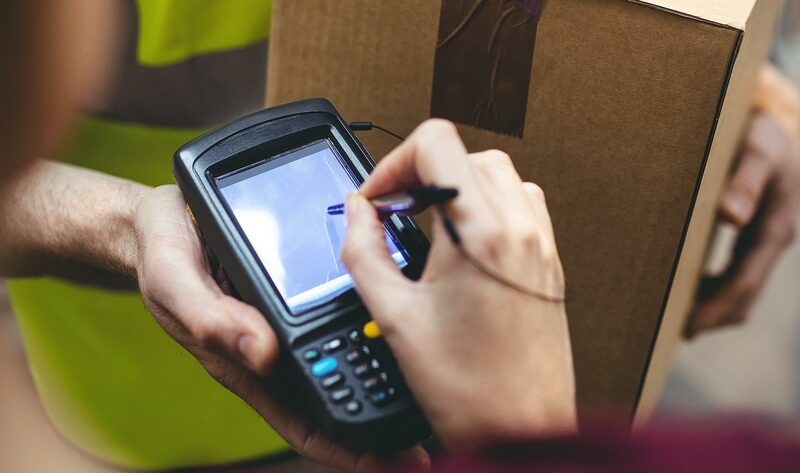 While customers want quick and precise deliveries, shipment traceability in real time and clear answers from the customer care for troubleshooting, the companies face the need to optimize the processes and remove the inefficiencies to preserve profitability. Luckily, thanks to the use of digital technologies, it is possible to successfully meet all these apparently opposing needs. KFI POD is the digital solution designed to supply a complete control of delivery activities . All the operations are monitored electronically and the documents, including the proof of delivery signed by the customer, are generated and exchanged in digital format. Thus, customers, logistics and management have, in real time, their information linked to the delivery status and to the vehicles and load position at their disposal. Visualization of the vehicles arriving at each delivery point, of the load and of the estimated time of arrival. Through tablet, the driver remains in permanent communication with the office, receives the delivery plan and instantly sends the proof of delivery graphometrically acquiring the receiver’s signature. Delays linked to documents management are removed and everything is faster and more accurate. The customers can monitor the status of their shipment via web, receive the notification of correct delivery via mail and view the name and signature of who accepted the delivery. On the company side, the availability of information in real time allows to keep deliveries under control, to better organize the service and to promptly solve field problems. The route of each vehicle is detected by a satellite system which constantly updates its position on the map. The company can verify if the delivery plan is being respected, the load composition and can estimate the time of arrival. The use of traditional paper forms involves the risk of incurring compilation errors and of losing or damaging the documents. With KFI’s solution, all the documents are created and exchanged in a digital format, thus eliminating costs, inaccuracy and slowness of manual treatment.